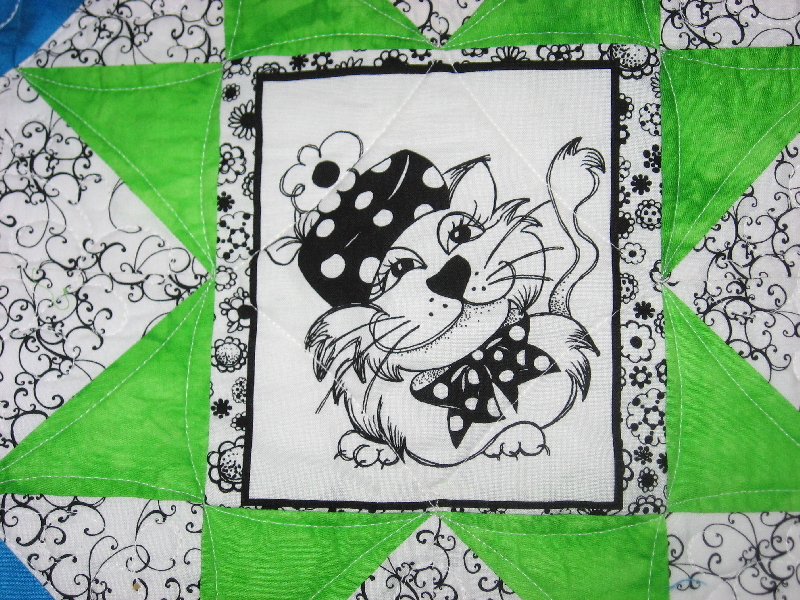 I designed a cat quilt a year or so ago and I’ve been meaning to write up the directions for it, but I never did. Anyway, my LQS got in a new line of fabric which has 6″ squares with little monsters on it, and I told her that the pattern of my cat quilt would be perfect for that fabric. So, she told me to let her know how much fabric I needed for it so that I could make it and of course…….I’ve lost the paper that I had everything written on!! I went in yesterday and took the cat quilt and the layout of the pattern. We sat and figured how much fabric it would take and she sent that home with me. Today, I’ve been working on writing the pattern. 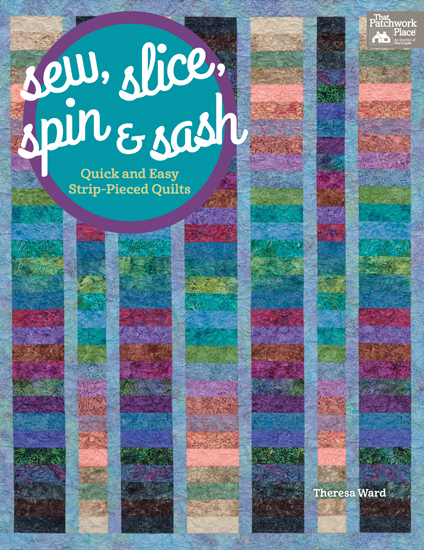 I need to write the pattern and then make the quilt according to the directions. That way I should have all the correct numbers of squares and blocks. 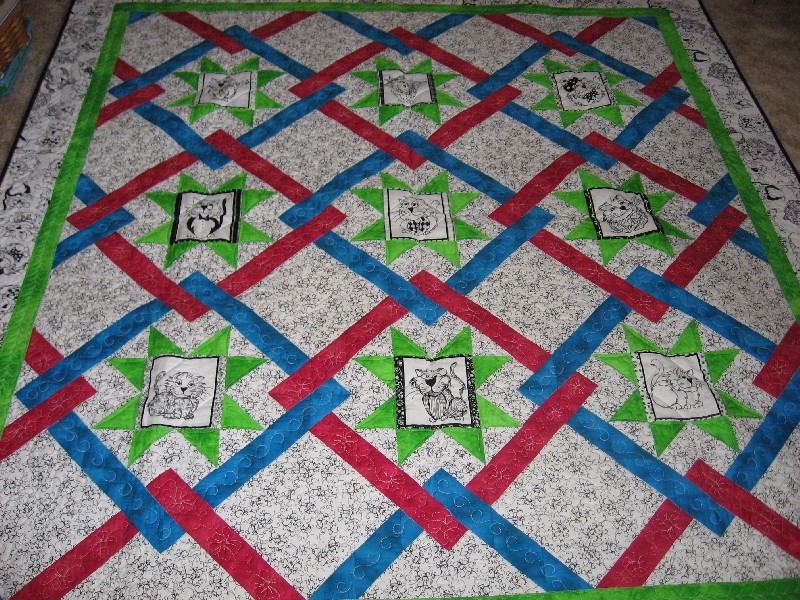 Here’s a pic of the cat quilt. I think the cats are so cute on this fabric. The squares weren’t quite 6″ but I figured they were close enough. Anyway, here’s the new fabric with the monsters on it. 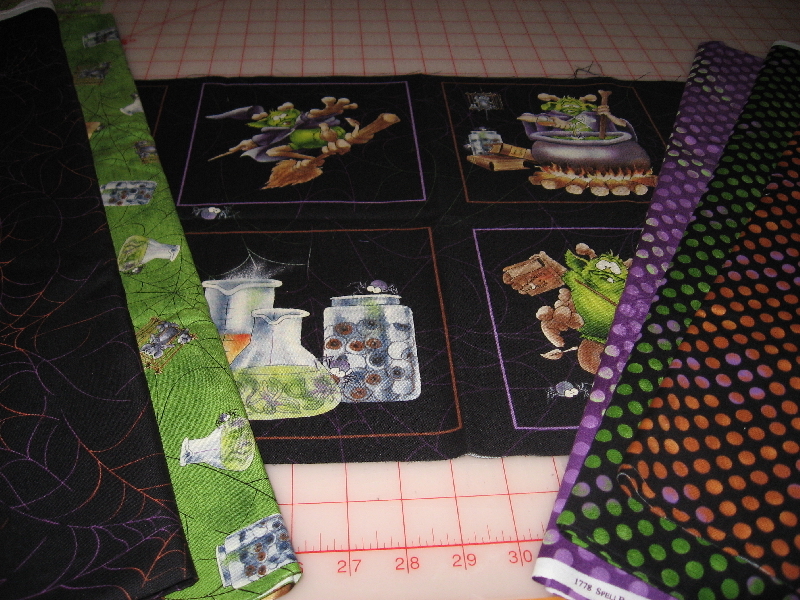 The green polka dots and the purple polka dots will make the criss cross on the quilt. I hope it comes out looking good. I think I’m ready for cutting now. I just hope I figured everything right!! I need to get the pattern written up, printed and the sample made and then she’ll cut kits for it. I sure wish I hadn’t lost the original! I know it’s around here somewhere………………. Oh, the lady in charge of selling the mini’s at our quilt show, was at my LQS yesterday, she loved the sudoku one that I made. I showed it to her and the first thing she asked was “is that for the sale? I love it!” Hopefully, someone will buy it as it’s one of our big money makers for the quild. I enjoyed seeing your Sudoku quilt and also the cats quilt. 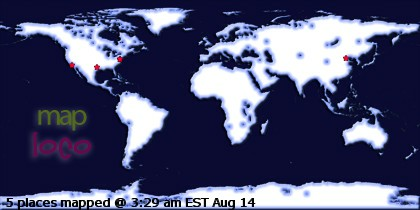 Thank you for sharing the photos! That is a very cute quilt!